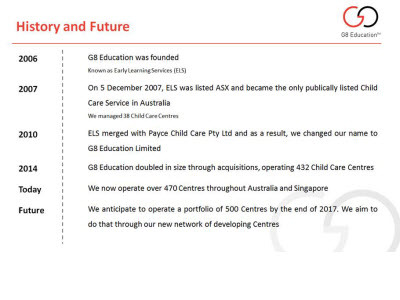 G8 Education is a growing, successful and sustainable organisation currently owning and operating over 500 Childcare Centres across Australia. 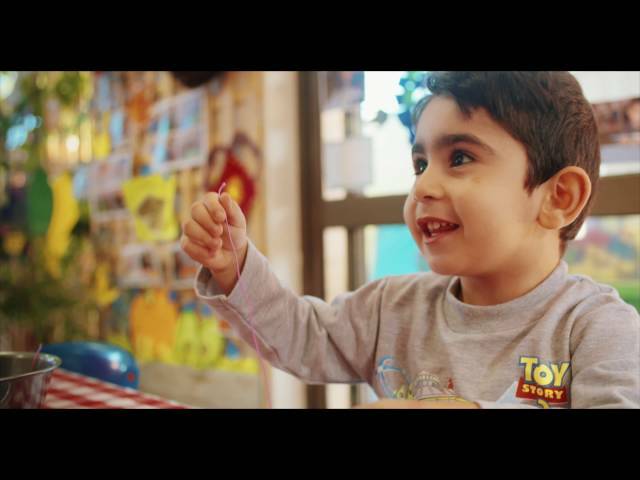 We are a leading provider of quality care and education through a range of well-respected and recognised brands, and have a strong focus on the early learning framework. 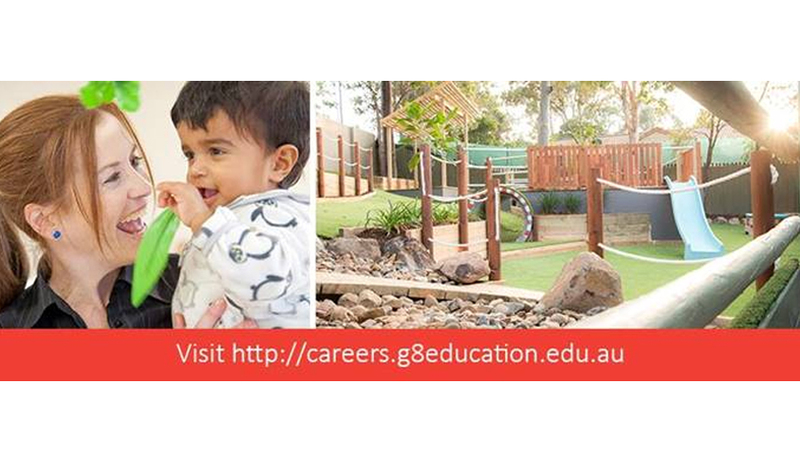 Our mission is to be Australasia’s leading provider of high quality developmental and educational child care services. How important is the bond between an educator and a child? Jason brings with him a wealth of business, financial and capital markets experience as well as valuable international experience having worked in Hong Kong, London and Singapore. Jason joined as CEO of our Singapore business in December 2013 and transferred over to our head office in Australia in April 2014. He was appointed CEO of the group in June 2014. Jason brings with him a wealth of Business, Financial and Capital Markets experience as well as valuable international experience having worked in Hong Kong, London and Singapore. He has a Bachelor of Arts (Hons) and is a CFA Charterholder. Gary joined G8 Education in July 2016 and has extensive senior leadership experience in both Financial and Operational roles covering various industries. Gary joined G8 Education in July 2016 and has extensive senior leadership experience in both Financial and Operational roles covering various industries. He holds Bachelor of Commerce (Honours) and Bachelor of Law (Honours) and is a Certified Practising Accountant. Sharyn Williams is G8 Education’ newly appointed Chief Financial Officer (CFO). Sharyn Williams is G8 Education’ newly appointed Chief Financial Officer (CFO). Sharyn holds multi-disciplinary academic qualifications in the areas of Education, Finance and Business. 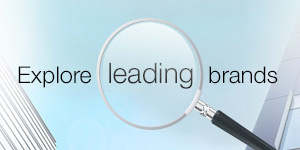 Sharyn brings with her 13 years of ASX listed experience as an Executive Leader, CFO and Company Secretary. With a strong business acumen, Sharyn’s background is in driving strategic financial, governance and operational outcomes in automotive, electrical, finance, retail, wholesale, manufacturing and engineering industries. Sarah leads the Legal, Compliance, Safety, Facilities Management, Risk Management, Insurance and Company Secretarial functions for the Group. Sarah leads the Legal, Compliance, Safety, Facilities Management, Risk Management, Insurance and Company Secretarial functions for the Group. She has extensive Board and Executive experience across large Government and Private Corporations and holds a Bachelor of Laws, is a Graduate of the Australian Institute of Directors and Governance Institute. Peter has over 10 years’ Executive Management experience in Information Technology and has worked in both Corporate Services and the Airline Industry. Peter is responsible for the management of the IT department.